When you work with your hands, a naturally time consuming process, that quiet space opens up your mind to many creative possibilities! 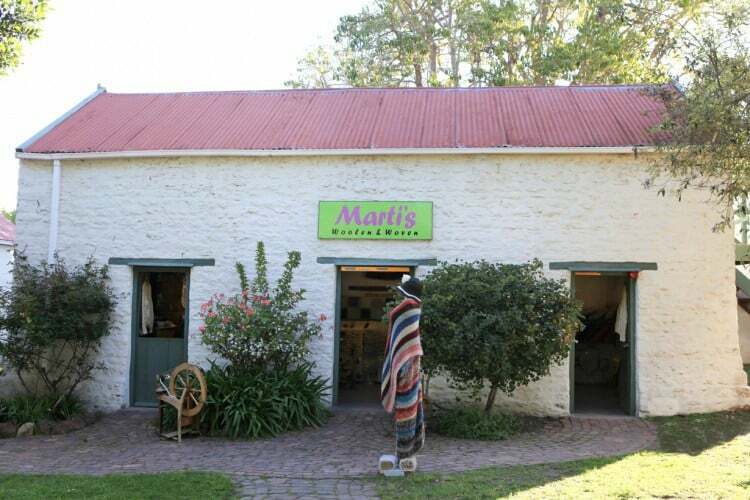 Marti and Dale Lucas are creative manufacturers of woollen products. They run a workshop and shop at Old Nick Village principally made by themselves and other member of the Plettenberg Bay community. They give lessons to children who visit the Centre and inspire an interest in the age old art of spinning, dyeing, knitting and weaving. Your skills in spinning and weaving are quite unique. How did you learn your craft? 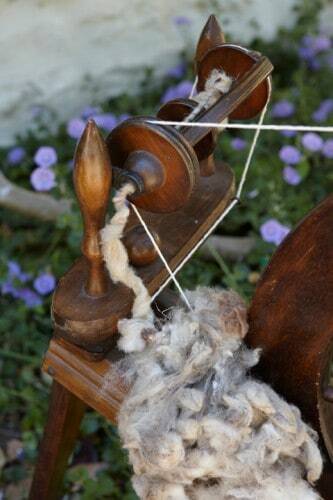 I learnt to spin from my granny and I have always loved using my own yarn to make useful and beautiful products. 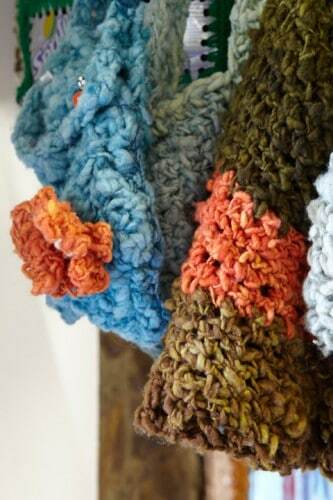 I am a self taught knitter and weaver. We are in every sense a family business, we get raw wool from the local farmers which Dale processes and then I hand spin the yarn. 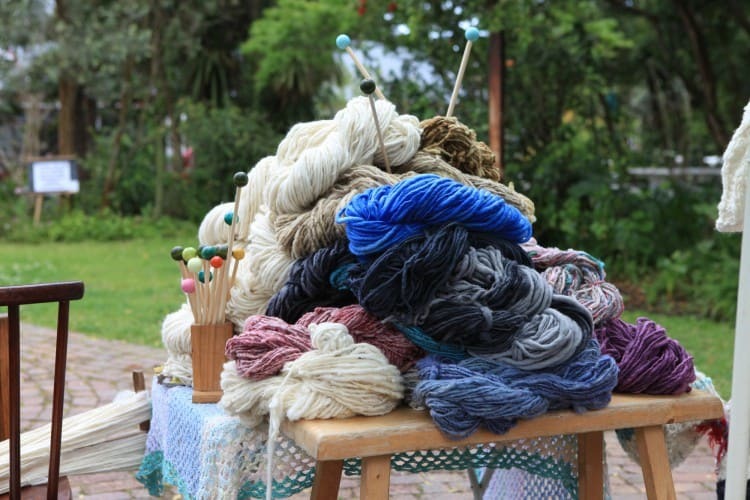 Dale then dyes the wool mostly using natural dyes to achieve wonderful soft colours. Our children also lend a hand when required by running the shop and making some of the knitting accessories. You always seem to have new products on your shelves. Where do you get your inspiration? When you work with your hands, a naturally time consuming process, that quiet space opens up your mind to many creative possibilities! I also get ideas from books and magazines. Customer orders, too, often inspire us to try new things. How does your shop relate to your community and or the needs of the community? I think there is a need in this technological age for young people to discover the joy of working with their hands. We have taught hundreds of children the basics of weaving so that they can take home their own bag or stuffed animal. We give classes to school groups and our lessons are even included in the entertainment at birthday parties. Our environmental foot print is very light. We use local wool, dyes from local plants, off cuts of yarn and wood from local industries. Within that framework we supply a service to the tourist trade by enhancing their experience of our area. Mostly people interested in knitting and weaving. 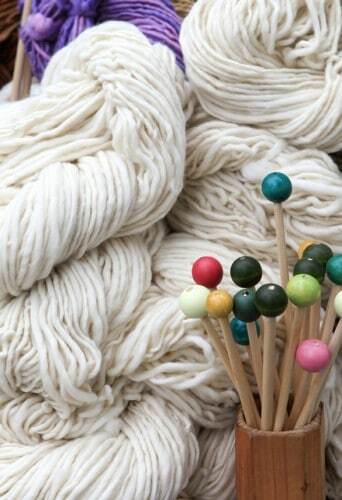 They love our chunky hand spun wool for making jerseys, shawls and the like. 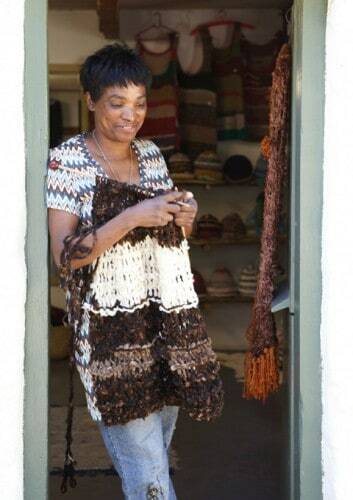 Hand weavers, too, use our wool to make mats and wall hangings. Looking ahead, where do you see the growth in your business? I hope that I can pass my passion onto the next generation and that they can work from a strong foundation to keep our unique product relevant and strong!